This Potato Salad with Avocado Dressing began as a simple lunch idea, and turned into something wonderful. The secret to this salad is the avocado dressing that is used instead of the typical mayonnaise. 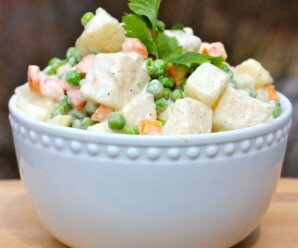 This gives the potato salad not only it’s creamy, silken texture, but it also adds a twist to the flavor, as compared to traditional potato salad. I knew I wanted to add some red onion for texture, but beyond that, I just kept reaching for things in the kitchen that I needed to use up! I found grape tomatoes, cilantro, limes and some ripe avocados in the fruit bowl, so, in the potato salad they went. This is one of the best potato salads that I’ve ever had. Buen provecho! About 3 pounds of cooked red potatoes, skin on and sliced about1/2-inch thick. 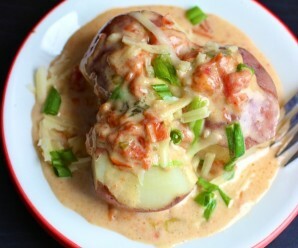 To make the dressing: Place all the ingredients in the blender and blend until creamy consistency. 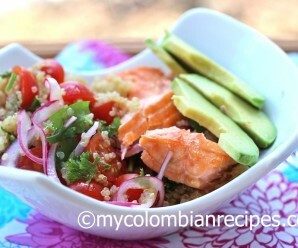 Combine all the salad ingredients, in a medium bowl and season with salt and pepper, to taste. Add the dressing to the potatoes and mix well. Season again with salt and pepper, to taste. 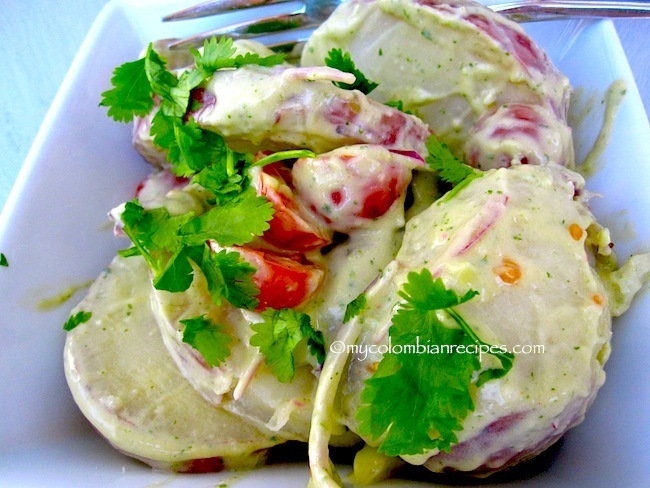 I love the idea of avocado in potato salad – this looks delicious! Love this dressing! It’s beautiful…and healthy! 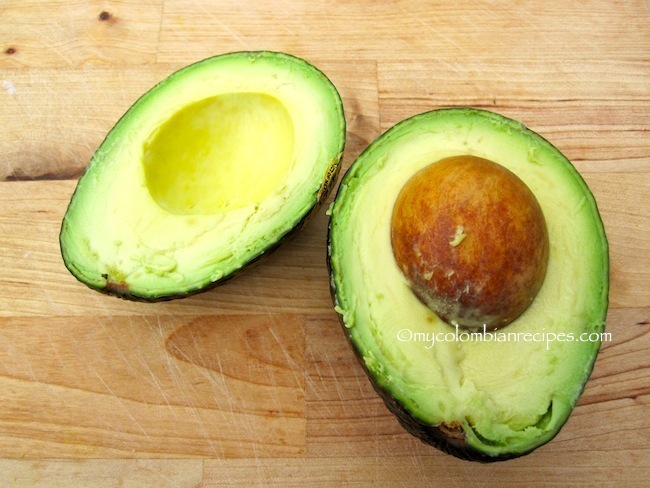 It sounds so much better than mayonnaise and you get all the health benefits too from the avocado. I have bookmarked it and hope to make it soon. 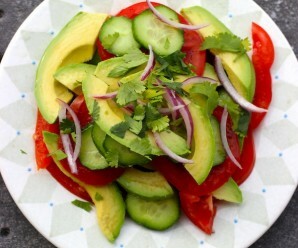 love the idea of using avocado as the dressing! looks so super delicious! Hi Erica thid look delicious and I love avocados salads! Fantastic! This would go great with some bbq pork shoulder, Erica. I really like that dressing you came up with, just perfect. i’m a fan of potato salad in general, but involving avocado is an amazing and very enticing idea! This salad was the side dish for a birthday party last week and we really enjoy it.